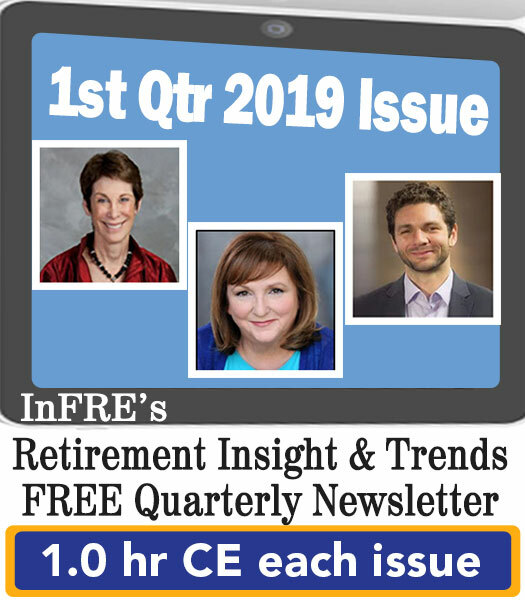 Editor’s note: This article is an adaptation of the live webinar delivered by Jamie Hopkins in 2019. His comments have been edited for clarity and length. 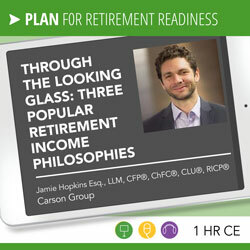 You may also choose to take the full length course ” Through the Looking Glass: Three Popular Retirement Income Philosophies for 1.0 hour continuing education (CE) credit. Mr. Bogle, the founder of Vanguard, had an amazing impact on the ability of consumers to save billions of dollars, by creating a lower-cost way to save. The most impactful benefit Vanguard had on investors wasn’t outperforming the market. It wasn’t asset picks or tax diversification. What was it? It was behavioral coaching. 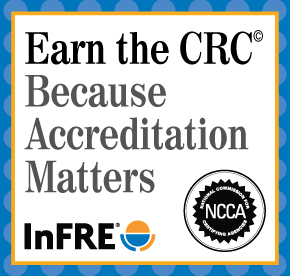 This is the most significant benefit consumers receive from working with a professional. That is incredibly powerful. David Blanchet, PhD., CFA, CFP®, Director of Retirement Research at Morningstar published the paper “Alpha, Beta, and Now … Gamma” in 2013. He evaluated the impact of making better decisions about income planning and how it could improve a client’s retirement income. What David and co-author Paul Kaplan, Ph.D., CFA Director of Research Morningstar Canada determined is that Social Security, dynamic withdrawal strategies, tax efficiency, asset allocation, partial annuitization, and risk management could improve a client’s retirement income by 38%. We have to deal with the client in front of us. If we help educate them and design a framework where they can make better decisions, then guess what? We can increase their retirement income without having to save a single dollar more, without having to beat the markets. It isn’t rocket science. It’s about having a plan in place and a process in place to identify the areas that we can improve. What do we want to accomplish in retirement? Where do we want to get care? Do we want to travel, provide a legacy, charitable donation? These goals create our target, and that’s goal-based planning. It’s based on the individual and their situation. Why is the target moving? We don’t know how far out that target is in the distance because we don’t know how long the client will live. There is also wind that blows the target back and forth, or movement along the way. We’re not going to be able to go on a straight line, from point one of retirement to the end. We’re going to have to adjust for change along the way. 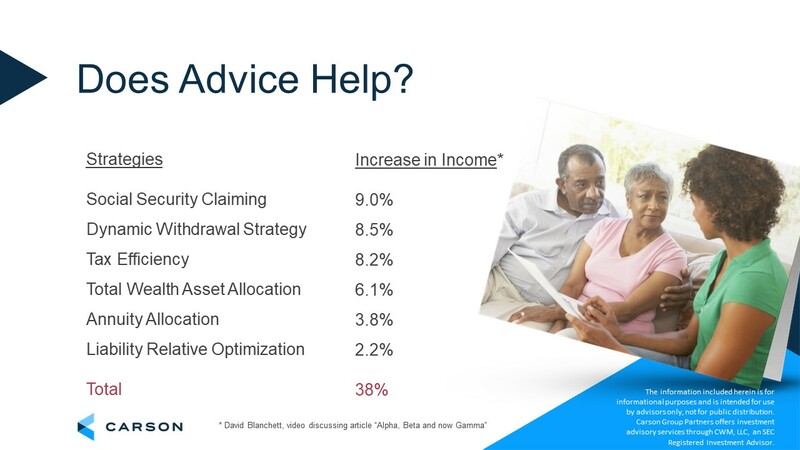 How Important is Client Behavior in Retirement Income Planning? Clients have some behavioral biases and misconceptions that can get them off course. The growth of defined contribution plans over time changed the framework about why we have to care so much about behavioral biases and why we now have to take behavioral biases seriously. What’s happening? In the past, more retirees had defined benefit plans. What happens in a defined benefit plan? The company and fiduciaries handle the investments, handle the funding, handle the amount saved, and they handle the retirement income distributions in the form of a pension annuity benefit. What happened over time? A move away from defined benefit plans to defined contribution plans. Most traditional finance theories assume that people are rational decision makers. Eighty-eight percent of defined contribution plans allow full investment control of assets to the participants within the array of investment assets given to them. We’ve now moved the investment portion over to the individual too; not just the distribution period. All of a sudden individuals could go online and immediately make changes to their investments. When this started to happen, financial models didn’t align with what was happening in the real world. In the long run they were, but there was much volatility and much noise in between that wasn’t following what rational decision makers should do. This is what caused the development of the behavioral finance world. There was a lot more inefficiency, a lot more volatility than was being explained by traditional models. People make decisions in the way we want to describe rationality. I’m also not entirely sold on the fact that people make what we deem as “irrational decisions.” Are they irrational, or are they just placating one fear or goal over another? It’s prioritization, but it doesn’t mean that the decision is right for us. What we’re still trying to do is drive this decision making in our retirement and income planning to a place where we’re better off. Research shows us that education alone does not drive behavioral changes to the degree that we would want. A lot of behavioral research involves food. One study gave people two food options, a healthy option and an unhealthy option. They had two groups; people who were hungry and people who weren’t hungry. What they found was when the subjects weren’t hungry, they picked the healthy food option 74% of the time. When they were hungry, they chose unhealthy food 70% of the time. What we’ve learned, over time, is that we have to create a system and a process that helps people act. Automatic enrollment, auto escalation, target date funds, auto bill pay – these things have been very beneficial. We need to create that plan – that savings plan, that budget, that income plan – that helps keep clients on course. Also, we can add value by helping clients feel comfortable with their plan, so they stick with it. The safety-first approach is generally goal-based planning: what do you want to spend in retirement? Separate what you think are essential expenses. If we’re paying our taxes, our healthcare, our housing, our food, that’s most of our expenses. A lot can end up in the essential expenses category, and that’s one of the challenges. In a flooring strategy, safe investments and income sources are to be aligned with required expenses. Assets that generate secure income are bond ladders, income annuities, pensions, and Social Security. More volatile assets are to be aligned with discretionary expenses, or the things that we might not necessarily need. This strategy is based on the life cycle finance theory where we maximize spending over a lifetime. It is not a wealth maximization strategy that leaves a considerable legacy. It’s about creating certainty across the board to meet our necessary expenses. We also have to create liquidity with assets like cash, life insurance with a cash rider, maybe a reverse mortgage line of credit. To align assets to liabilities, create secure income sources that are aligned with essential expenses. Our discretionary expenses or legacy intentions can be funded with investments from a more diversified portfolio. What is the benefit of partially annuitizing a portfolio? What does this do for the longevity of a portfolio, for your spending, your legacy, your liquidity? If you add an annuity by reducing some of the bond portfolio, there ends up being more true liquidity. Once we have longevity protection, the annuity could actually be increasing our legacy value over time because we’re getting mortality credits because of risk pooling, allowing us to increase true liquidity and spending. Also, if we live a long time, we have longevity risk. Our legacy amount can be increased by partially annuitizing. If legacy is the goal, use more of an investment approach. Partial annuitization has been shown to have a positive impact on the sustainability of a portfolio. Some research suggests you can go as high as 20% of the assets to partial annuitization. Obviously, that still depends on the client situation. Another thing that is valuable to consider is replacing bonds with annuities as part of a strategy. What if our annuity payout rate is essentially higher than the payout rate of our systematic withdrawal? It extends the longevity of the portfolio. The four percent rule is not the be all and end all; it is a starting point for conversation. We need to develop the withdrawal approach that works for that client. We can also do things to increase the withdrawal rate. If we add small-cap stocks into our investment portfolio, we can increase the withdrawal rate to four and a half percent. If it’s a down year and we don’t pull income from our investment returns, in some cases we can move the withdrawal closer to six percent. With better planning, we’re not stuck at four percent. One of the benefits of a flooring strategy is that we can only have a partial failure. With an investment portfolio, we can have total failure. We can run out of money. With a flooring strategy, we can’t run out of money. There is downside protection in the sense of our spending. The third strategy is the bucketing or time segmentation approach by taking assets and dividing them into different buckets for different time horizons. The first five years of retirement are funded with safe assets. The third bucket can handle more risk on the equity side for later in retirement. We can project much better average returns for the last bucket and get through some of the volatility concerns because there has never been a loss in the market over a 10-year period in the U.S.
Let’s go back to goal-based planning. What’s the client’s situation? Phase one years are the early, active, high-spending years, or at least more certain years. Let’s put our secure bonds, CDs, term annuities in the first bucket. I know I’m going to be in retirement for the first five years, so I want to guarantee those income sources. At 15 years we are getting close to the average amount of time someone spends in retirement so put growth assets in the third bucket. When you break it out like this, you end up with a 70/30, 60/40, or 80/20 investment allocation split, which is a pretty similar asset allocation you might use with a systematic withdrawal. The point is that how you’re spending and what assets you’re spending down at first varies tremendously. One of the biggest challenges with time segmentation is how do we refill that safe asset bucket over time? How are we going to do that in a process that’s repeatable, that’s scalable, that we can test its success? The best aspect of the bucketing or time segmentation approach is that we’re explaining why we’re doing the things we’re doing. Why do we have growth assets? Well, because, in the long run, they provide a good return. Why do we have safe assets? Because they provide a secure income. Why do we have a mixed portfolio? Because diversifying over a 10 to 15-year timeframe helps us both on the upside and downside of market returns. It gets us out onto the efficient frontier. It provides the story to clients about why we’re doing the things that we’re doing. It’s the mental accounting side. Have a cash reserve strategy. Use some non-market correlated income sources like reverse mortgages and life insurance cash value that isn’t impacted when the market fluctuates, so we can offset spending with these assets when the market takes a hit. Have some type of floor built into your client’s strategy. For some people, Social Security is that floor. Also, don’t forget home equity. For the vast majority of Americans, this is their most significant asset. Ignoring it, to me, is not prudent. What did we learn from each approach? From the safety-first approach, we learned that we need to prioritize our client’s goals and determine which are most important. From the systematic withdrawal approach, we learned that we need to carefully consider how much can be withdrawn from resources and still have them last a lifetime, and that we need to invest for the upside. From the bucket approach, we learn that a plan has to tell a story so that the client understands how the plan works when bad things happen. Jamie’s book Rewirement: Rewiring the Way You Think About Retirement, is available on Amazon. You may reach him at Jhopkins@carsongroup.com and follow him on Twitter @retirementrisks. Jamie Hopkins has an extensive background in educational development, research, and writing. He is Director of Retirement Research at Carson Group and has developed educational materials for The American College’s CFP®, CLU®, ChFC®, and RICP® programs. 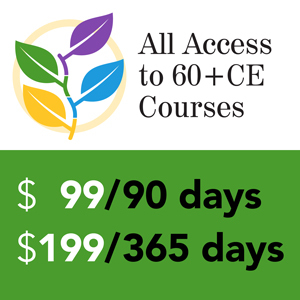 Professor Hopkins has also developed CE programs for attorneys and is an active legal writer. He has done consulting projects for a number of Fortune 500 companies. Jamie is also a highly sought after speaker, having done hundreds of webinars and speeches for the financial services industry. Jamie is a regular contributor for Forbes and InvestmentNews on Retirement Income Planning. He is also a RetireMentor for MarketWatch and has been published in dozens of journals regarding tax law and retirement income planning. In recognition of his impact on the financial services industry, he was selected by InvestmentNews as one of the top 40 financial service professionals under the age of 40. Additionally, he was selected by The American Bar Association as one of the top 40 young attorneys in the country. Professor Hopkins was also named as a Lawyer of Distinction in 2017 and was elected into the prestigious role as an American Bar Foundation Fellow. Jamie has won numerous awards for his articles and writing. He is an editor for the Midwest Law Journal and was listed as a “Mover & Shaker” in the reverse mortgage industry. Jamie has also been featured on WSJ podcasts, NPR radio, Fox radio, and on TV multiple times for NBC10 Philadelphia, PBS, and USAToday. ©2019, Jamie Hopkins. All rights reserved. Used with permission.